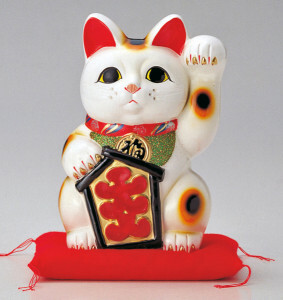 The maneki-neko, beckoning cat, was born in a town of Edo in last of Edo era.It is one of the peculiar lucky mascots in Japan with Dharma doll and Fukusuke. It has survived between Edo, Meiji, Taisho, Showa and Heisei era, five eras, and continues causing fortune for the people. 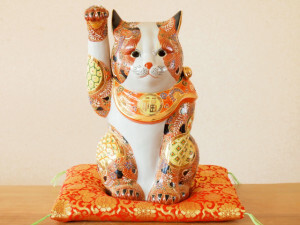 It is said that raising left hand is a “person invitation” and raising right hand is a “money invitation”. 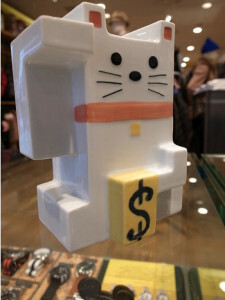 It reflected the change of the times, and various divine favor including the “love” ,”longevity” and “big hit of public lottery ” has been given. The record-breaking pet boom was coming combined with the popularity of the cat lover in the Heisei era, so a great variety of maneki-neko came to be made. 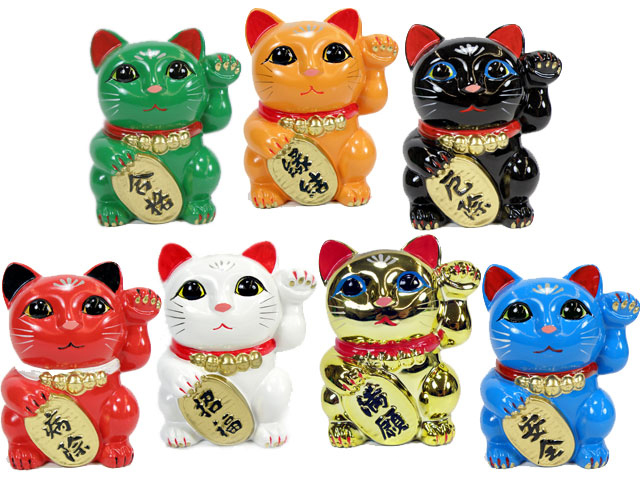 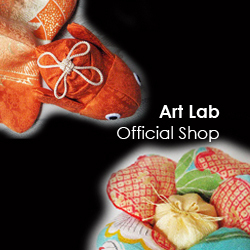 The artists who design a new style of a maneki-neko are increasing .